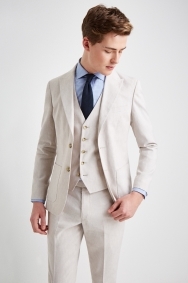 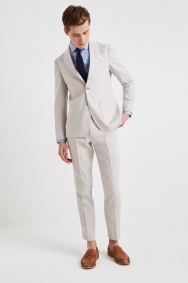 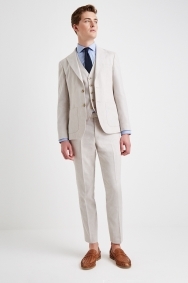 For centuries linen has been regarded as the warm weather suit fabric of choice. 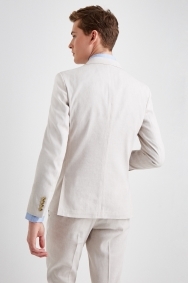 With its relaxed, unstructured profile, this Moss London jacket brings contemporary style to a formalwear classic. 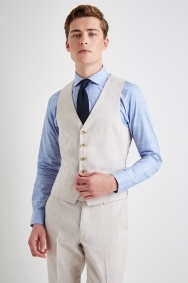 Made from blended cloth with a low thread count, it’s lightweight and breathable, but won’t crease as easily as pure linen. 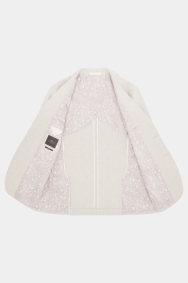 The stripped-back design makes it comfortable to wear and gives it a more natural drape, while the buggy lining cuts out more weight. 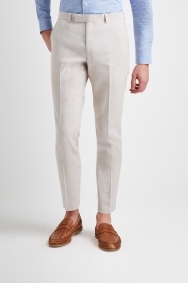 Bring colour to your look with a pastel shirt. 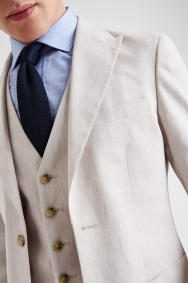 Add a dark tie as extra contrast if the situation calls for a smarter finish.